I love having things that make life easier and have them be pretty or fun is just a plus! 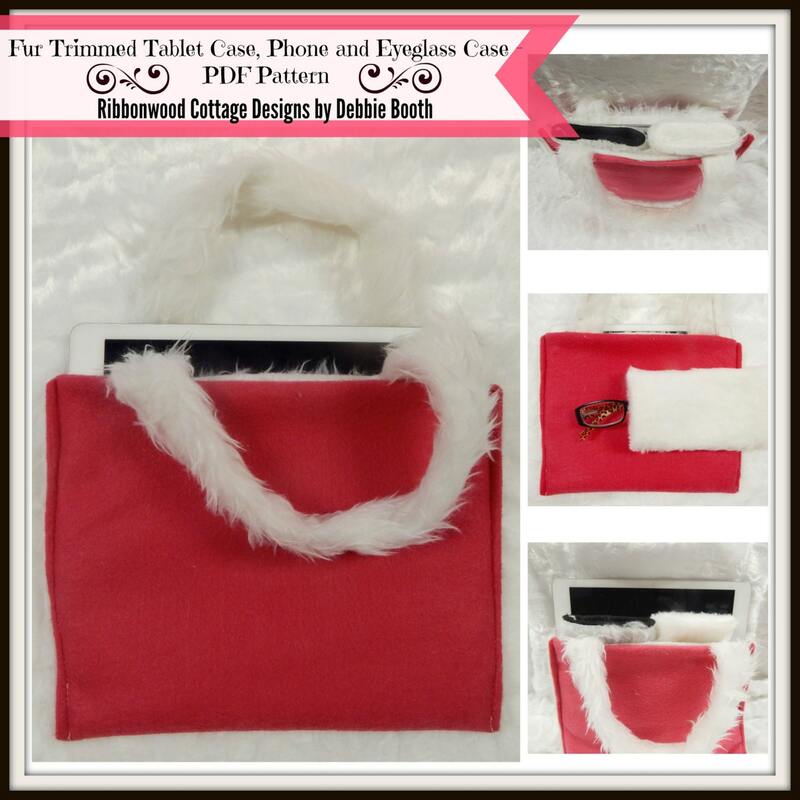 This very easy to make table cases is lined in fur, has fur handles and is great for carrying an IPad or Tablet of choice. 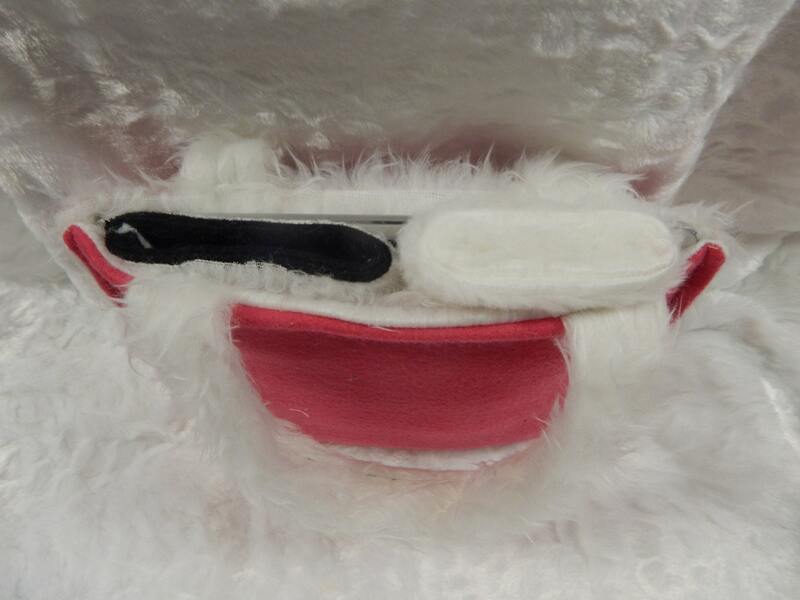 Also easy to make is the eye glass case, and phone case. They all fit together as shown in the other pictures. This would be a great case to corral these items in a purse. Step by step directions and pictures help walk you through making these simple items. This would also be great for gifts. 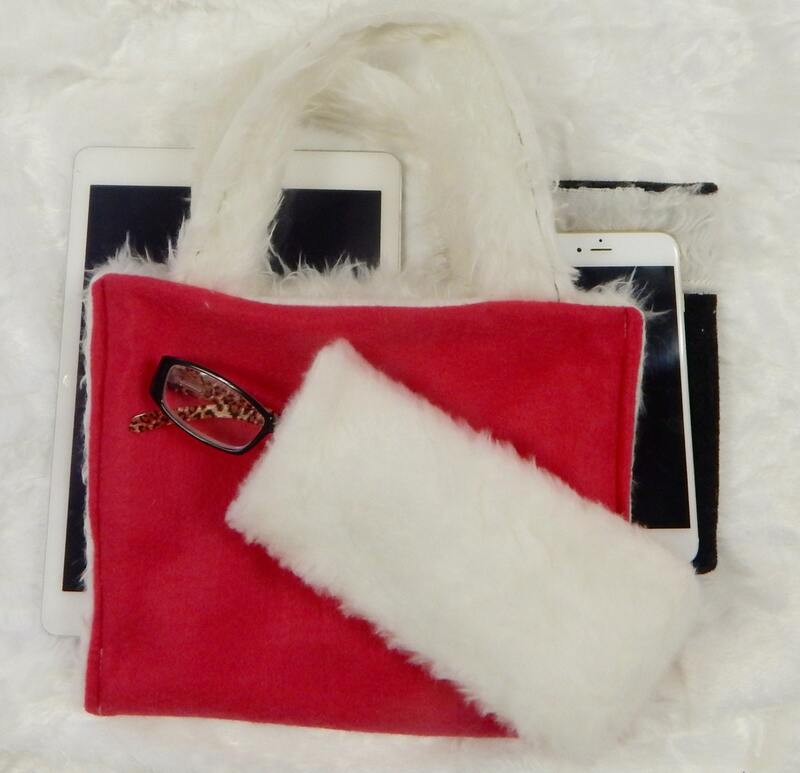 The IPad case would be great as a simple purse for a young girl. 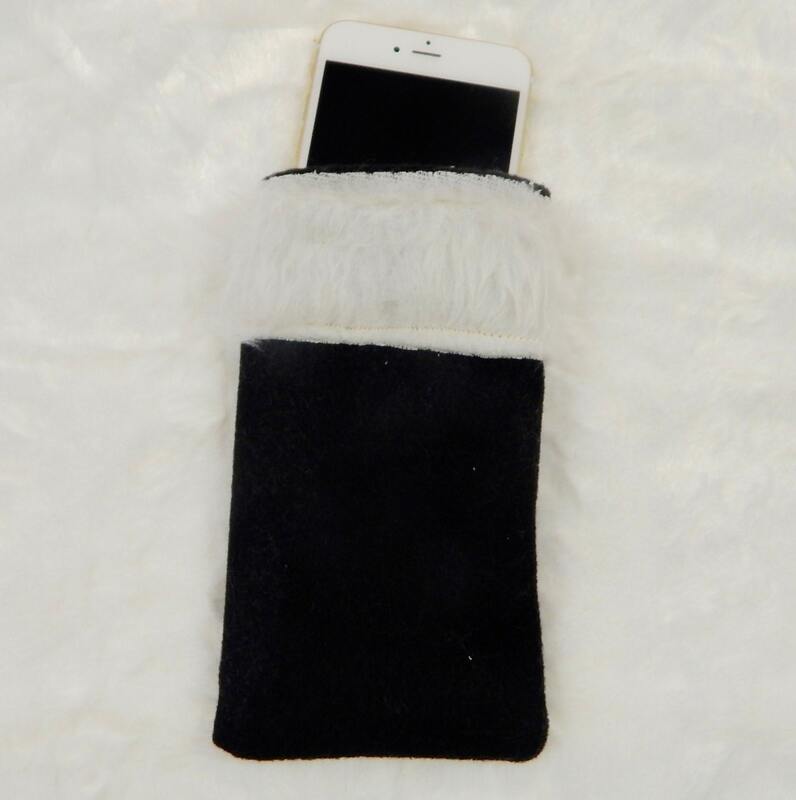 The phone case could be made in a variety of furs and given to all the teenagers in your life! That is what I am doing. Most teens love fur....I love fur! Simple to make, and great to have. Basic measurements in the pattern for phone, eyeglasses and tablet. 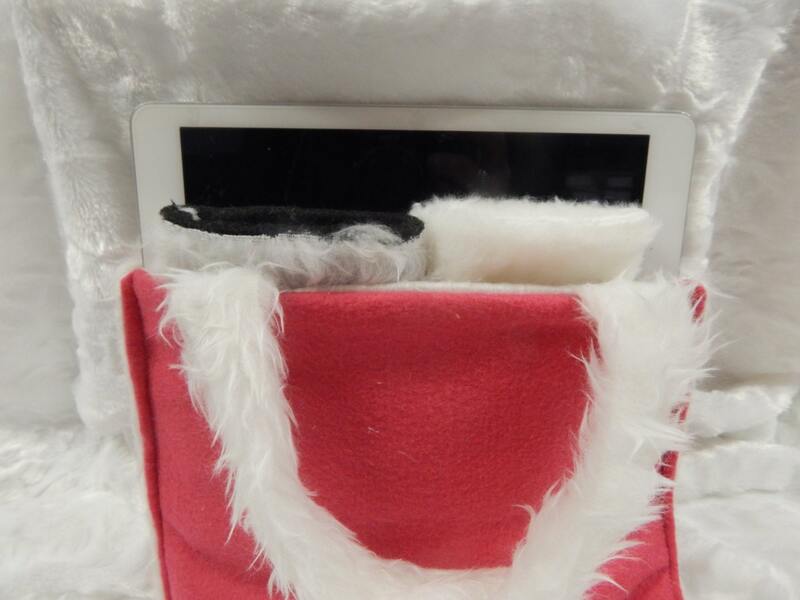 Directions are so easy though if the tablet or cases needed to be made a little smaller, it can easily be done. Thank you so much. This is a PDF downloadable pattern that you will receive one payment has been made and the transaction is completed. You are not receiving these items in the mail. Nothing physical will be mailed to you.